UPDATE: The San Mateo County District Attorney's Office on July 31, 2017 dropped charges against Auria Maleksalehi, citing insufficient evidence. An East Palo Alto landlord and his son destroyed or damaged tenants' personal property in a plot to persuade residents to move out of the rent-controlled apartment complex so the landlord could raise the rent to market rates, according to the East Palo Alto Police Department and the San Mateo County District Attorney's Office. 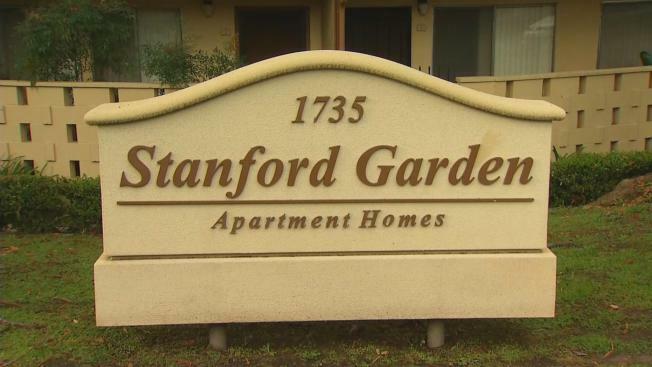 Police and DA investigators completed a lengthy investigation Monday and concluded that landlord Nemat Matt Maleksalehi, and his son, Auria Maleksalehi, were involved in felony destruction of property cases at the Stanford Garden apartment complex at 1735 Woodland Ave. The targeted tenants on numerous occasions had their car windows broken or other personal property damaged, the investigation revealed. Several tenants told NBC Bay Area the landlords did everything from screaming at them to vandalizing their cars. "I've just always felt not welcomed," said tenant Justin Russell, who pays $1,250 a month for his one-bedroom apartment. "They’re trying to get people who pay less rent out." Also, during the course of the investigation, the landlord’s son contacted a witness and tried to dissuade them from cooperating with the investigation. "These were bullies, who attempted to gain a benefit from people who would not be able to live elsewhere," San Mateo County District Attorney Steve Wagstaffe said. Arrest warrants were issued for both suspects on Sept. 21. The landlord has been charged with felony destruction of property, and bail was set at $25,000. The son has been charged with a misdemeanor for attempting to dissuade a witness. His bail also was set at $25,000. Both suspects surrendered to the Court. The landlords, who posted bail and now await their first court dates, declined to comment. Anyone who witnessed this incident or has any information is urged to contact the East Palo Alto police Commander Jeff Liu at 650-853-5904, send an anonymous email to epa@tipnow.org or send an anonymous text to 650-409-6792.